​Between the hills . . . Located three miles east of the village of Wellsville, New York in Allegany county, Gil's Hills Ministries sits on over 120 acres of beautiful land nestled between two hills. 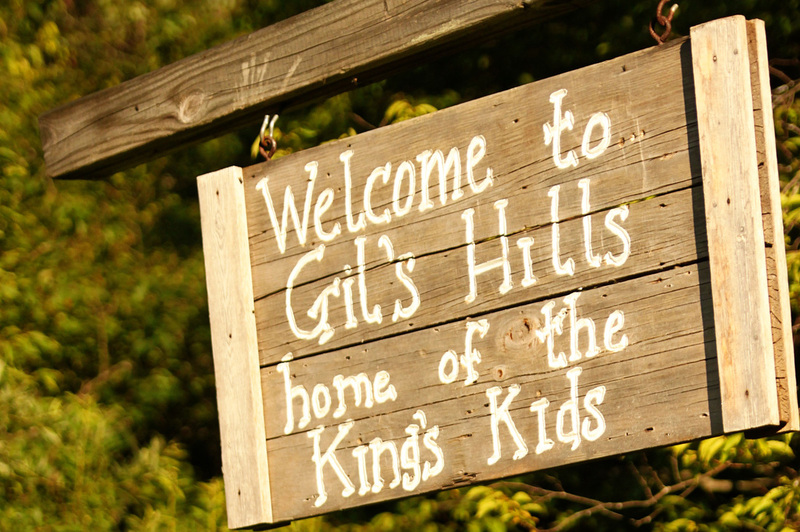 Specializing in serving children and youth who are in need of special attention in some way, the staff & volunteers at Gil's Hills are serious about helping kids by communicating the love of God while providing friendship, counseling, and service. CLICK HERE to see Ken's latest blog post. Gil's Hills Ministries was created to give children and youth an opportunity to meet Christ in an exciting and fun way. There are trails to hike on, a pond (with a tiled bottom) to swim in, cabins to camp in, and many other things for them to enjoy as they really appreciate the One who created it all. God's provisions are numerous at Gil's Hills! On the property you will find the Main Lodge which is used for housing the Executive Director, office space, and the dining hall where the kids enjoy plenty of good food during camps and our CB Clubs. You will also find "Gil's House" built in the early 1950's, and our well-equipped woodshop. As Gil's Hills continued to grow, space was becoming a problem, especially during the school year. The Lord blessed, and "The Ark" was built in 2003. It is our recreation building and helps get our kids out of bad weather and into a place where they can play basketball, roller skate, and have loads of good fun. The Craft Room is also located in the Ark. Our craft leader enjoys the challenge of coming up with different crafts pertaining to the Bible lessons and the seasons of the year. Year after year, Gil's Hills Ministries specializes in serving children and youth who are in need of special attention in some way. The staff and volunteers are serious about helping kids by providing for them friendship, counseling, and service. In so doing, the love of God is communicated in many ways. Click on the tabs at the left to discover more information about Gil's Hills, keep up with GH News & Events, and don't forget to read Ken's Blog as he challenges readers from God's Word.